Samsung once again nails the one-size-fits-all flagship, but mediocre battery life holds it back from an A+. There’s rarely a more consumer-facing phone than the latest Samsung flagship. Say what you will about the Pixel 2 having cleaner software or the LG V30 being better for filmmaking, but the fact is that the Galaxy S9 is the phone plastered on every billboard, every web ad, and every subway station. For the vast majority of consumers, it’s the Android phone to consider right now. 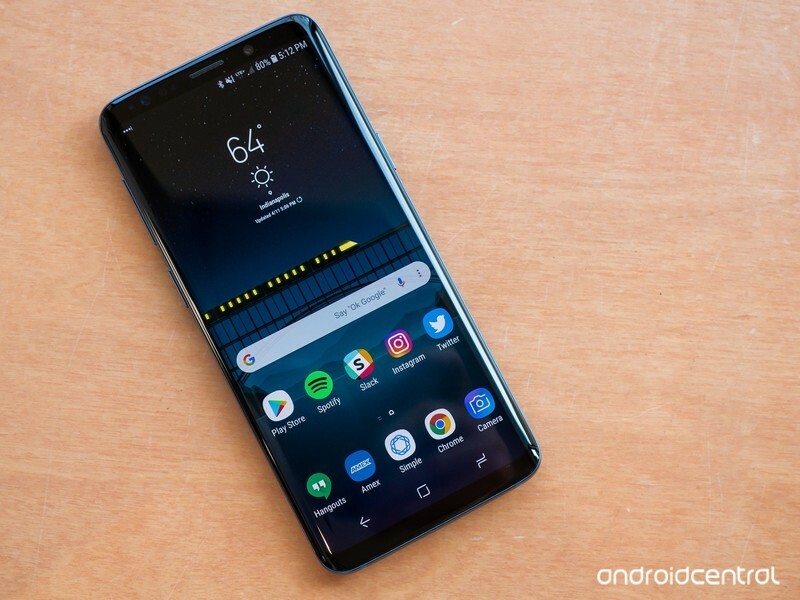 When Andrew Martonik reviewed the Galaxy S9 last month, he called it “the new standard Android phone by which all others are measured as a baseline.” Unexciting, but uncompromising. 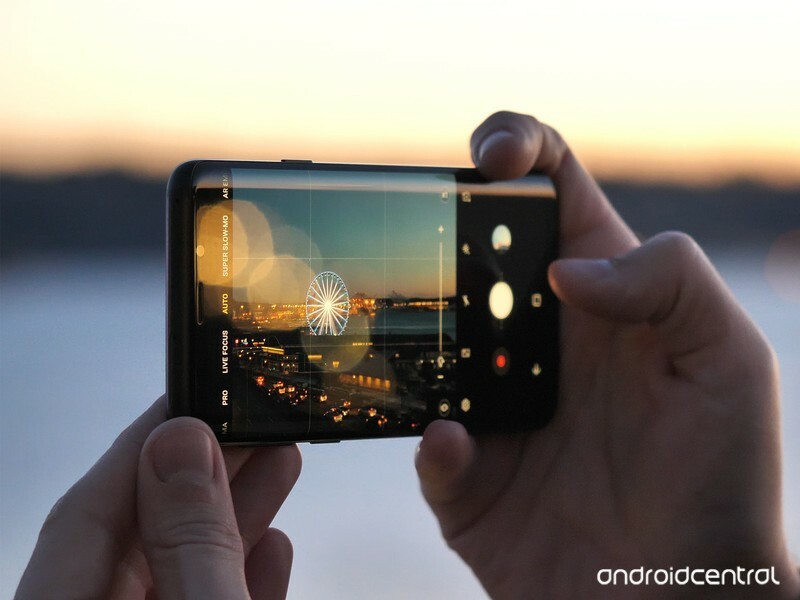 But he spent most of his time with the larger Galaxy S9+ which, while mostly the same, benefits from an additional camera and a larger battery. So what’s the deal with the smaller S9? There’s no way around it; the Galaxy S9 is one of the finest displays of craftsmanship money can buy. The curved glass and aluminum frame scream high end, and make the phone feel almost more like fine jewelry than just a gadget. If you’ve used a Galaxy S8, you should already have an idea of what I’m talking about. The Galaxy S9 is largely unchanged when it comes to the design and in-hand feel. That doesn’t mean it’s identical to last year’s model, though. After endless complaints about the S8’s hard to reach fingerprint sensor next to the camera, Samsung has moved the Galaxy S9’s sensor to a much more sensible place beneath the camera. It’s remarkably easier to reach than before, though it’s still a bit closer to the camera than I’d like; too often, I find myself accidentally smudging the camera, and the software even warns you against it when you’re registering your fingerprints. Oh, and it wouldn’t be a Samsung flagship without a long list of hardware benefits. Like last year, the Galaxy S9 is IP68 water resistant, and supports great features like wireless charging and NFC. It also still contains the MST component necessary for Samsung Pay, which allows you to use the S9 to pay at any terminal — even those that don’t typically accept mobile payments. There’s also a microSD card slot, as well as a good old 3.5mm headphone jack, a constant and hopefully long-lasting staple of Samsung’s lineup. Interestingly, there’s also a heart rate monitor next to the camera, as well as a blood pressure monitor. While not everyone will make use of these features (I know I haven’t), they can be a huge benefit for people who need to closely monitor their health status and don’t have the necessary equipment at their disposal. This may be one of the only major flagships of 2018 without a notch. Despite its relatively pocketable size, the Galaxy S9 carries an impressively large display. It’s a 5.8-inch display with an elongated 18.5:9 aspect ratio that occupies most of the face of the device, with reduced vertical bezels compared to last year’s Galaxy S8. The curved glass wraps the display around the sides of the phone, an effect Samsung calls the Infinity Display. It’s a bright and vibrant Super AMOLED panel, and a reminder that Samsung does displays better than anyone else. It’s still more saturated than I care for out of the box — I’m not ashamed to admit I’ve set my phone to the basic screen mode — but it’s 15% brighter than before, and just as sharp as ever with its QHD+ resolution. That’s a whopping 2960×1440, though by default the UI is scaled to FHD+ (2220×1080). Even better, Samsung still managed to fit stereo speakers into the Galaxy S9 despite having limited space to work with up front. No, it doesn’t have dual front-facing speakers, but like the iPhone X and HTC U11, it combines the earpiece speaker with a bottom-firing speaker grill to create a stereo experience. It’s not quite as loud or detailed as the other phones mentioned, but it’s a huge improvement over last generation’s tinny mono speaker. Last year was the first time I could say that I was finally happy with Samsung’s software experience out of the box, without having to spend hours setting up third-party launchers and alternative apps to replace Samsung’s default services. This year, things get even better — though that’s partially thanks to my unlocked model shipping without carrier bloatware. With version 9.0, Samsung Experience feels to me like the closest the company has gotten to a stock Android feel, without giving up what makes a Galaxy phone unique. That is to say, features like Edge Panel (not my favorite feature, but it’s more useful than most give it credit for), Knox, and Samsung Pay. And yes, even Bixby, which, while still inferior to Google Assistant in many ways, can pull off some more complex system-level commands. There’s still Samsung’s usual collection of redundant apps that effectively mirror the functionality of Google’s existing offerings — apps like Email, Galaxy Apps, and Internet — but there are less of them here than in previous generations, and they’re finally good. I actually prefer Samsung’s Internet browser to Google Chrome, though I still use the latter since it syncs my browsing history with Chrome on my computers. Samsung can finally offer the fast, responsive UI its beautiful hardware deserves. In daily operation, the Snapdragon 845 inside truly shines with unyieldingly fast performance. Whether I’m playing graphics-intensive games or making simultaneous use of Multi Window and Android Oreo’s floating window for YouTube playback, the Galaxy S9 never fails to keep up — the 4GB of RAM play a role in this too. Simply put, Samsung has never made a faster phone. I still absolutely love the pressure-sensitive virtual home button, which works even with the screen off or with the navigation buttons hidden. Especially if you’re coming from an older phone with physical controls, it makes the transition to on-screen keys feel much more natural, something Galaxy S7 holdouts might appreciate. One major annoyance I had in my first few days of using the Galaxy S9 is the app power monitor, which I eventually disabled in the advanced menu of the battery settings. Don’t get me wrong, it’s useful to have insight on which apps are causing significant battery drain, but the power monitor doesn’t do much about those apps, save for putting them to sleep after three days without use. I found the constant notifications to be more trouble than they were worth. While we’re on the topic of annoyances, let’s talk about Bixby. One of the most common complaints with recent Samsung phones is that the Bixby key under the volume rocker is far too easy to accidentally press, flinging you out of whatever app you were in to open Bixby Voice. Whether this is by design to encourage more use of the service is debatable, but you can actually turn this into a convenience. 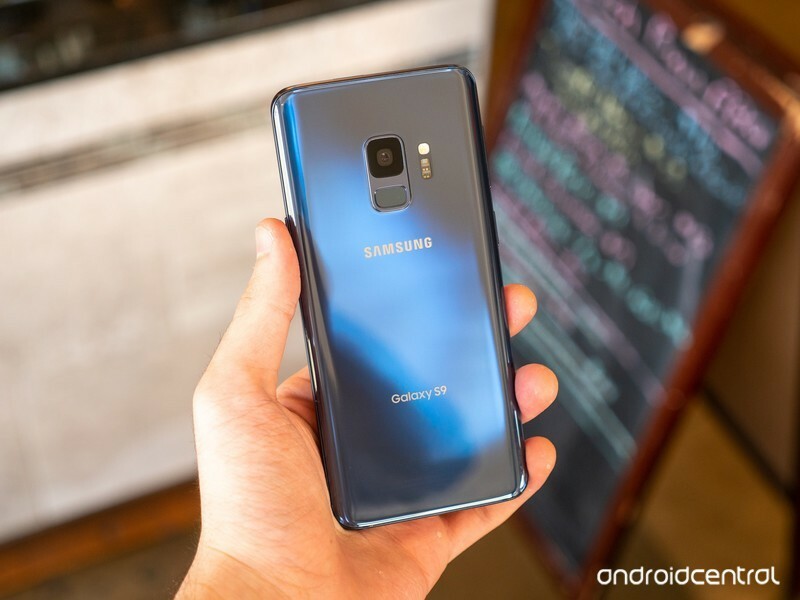 Disabling the Bixby key in the settings will stop Bixby Voice from opening when you accidentally tap the button, but it doesn’t disable the feature following a long press. This means that even fans of Bixby may want to disable the button, and using it this way I found myself actually using Bixby Voice more often for quick commands like disabling Bluetooth. I’d still rather remap the button to launch Google Assistant instead, but this felt like a fine compromise. Unlike its larger counterpart, the Galaxy S9 only has one rear camera — a rarity in today’s flagship space. It’s a 12MP sensor that introduces a new trick to the smartphone camera game: dual apertures. The Galaxy S9 can switch between f/2.4 and f/1.5, and you can even watch it happen on the lens. On such a small sensor, the difference in aperture doesn’t make as big of a difference as you might expect, but it still helps the S9 take on different lighting situations a little more effectively. Samsung’s camera software has always felt a bit messy to me, and to my delight, it’s been dramatically simplified this time around. Instead of a looming grid of shooting modes like on previous devices, you can just swipe between each shooting mode for quicker access. It’s a bit slower if the mode you’re after is at the end of the list, but you can rearrange the order of the shooting modes in the settings. For the most part, though, you’ll be just fine in auto shooting mode. The Galaxy S9 has no trouble figuring out most of the right settings on its own, and particularly in low light, the results can be stunning. I took a quick photo of my drink at a dimly lit bar and was stunned not only at the level of detail on the glass, but at the natural depth of the shot and the absence of noise in the background. Simply put, the Galaxy S9 is the most impressive phone for low light photography I’ve ever used. Its daylight shots are nothing to scoff at either, though. Where I’ve always found Samsung’s color science to err a bit too far on the cool side, the Galaxy S9 produces delightfully natural-looking images, with sharp details and plenty of dynamic range. With other amazing shooters like the Pixel 2 and the P20 Pro, I don’t know that I’d call the Galaxy S9 the absolute best smartphone camera around, but it’s certainly in the running. Of course, you can have fun with the camera too. This is one of the few phones capable of delivering 960fps slow motion video. You need a ton of light to make it work well, and you’re limited to 720p, but even with its limitations, it’s one of the Galaxy S9’s coolest new features if you ask me. There’s also AR Emoji, if you’re into that sort of thing, but … well, I’m not. Something to keep in mind if you plan on shooting a lot of video on the Galaxy S9 is that it’s set to 1080p by default. You still have the option for 4K at up to 60fps if you need the extra resolution, but unfortunately, you’ll lose out on tracking autofocus in the process. If you have a compatible video editor like Final Cut Pro, you can also choose to shoot in the HEVC codec for smaller file sizes. Lastly, there’s the matter of battery life. It’s not great. There’s no way around it. 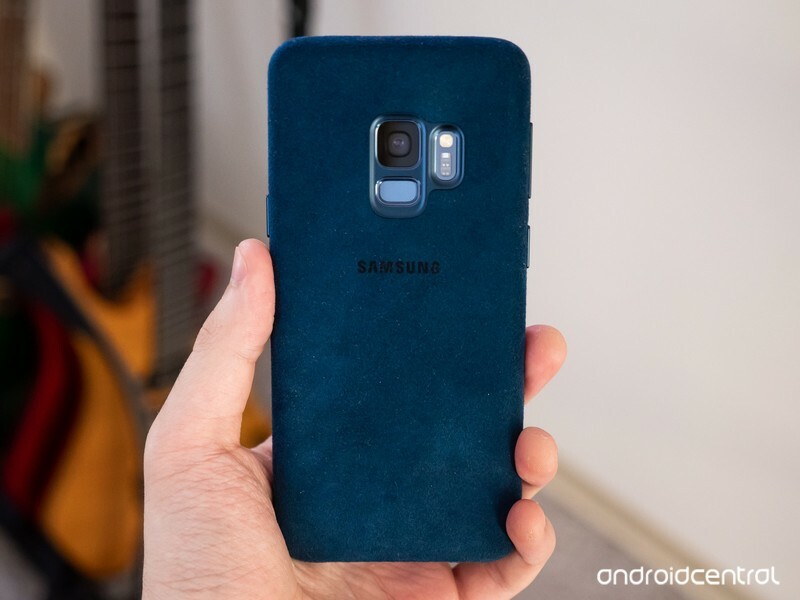 The Galaxy S9 houses a 3000mAh battery inside — the same capacity as last year’s Galaxy S8 — and as usually the case, I would’ve happily traded some of the phone’s thinness away for a larger battery. With a typical load of social media apps, work apps like Slack and Trello, and some Spotify streaming to Bluetooth devices, I can get by on a casual day with light use — say, 2.5 to 3 hours of screen-on time — but much more than that will have my phone in the red by the evening. Depending on your usage, you could see better results than I did, but if you’re rarely in close proximity to a charger, this might not be the right phone for you. Thankfully, the Galaxy S9 is still quick to charge through either a cable or a fast wireless charger. Strangely, it only supports Qualcomm’s Quick Charge 2.0 standard, rather than the newer Quick Charge 4 like the Razer Phone, but it at least has USB-C Power Delivery in its place. 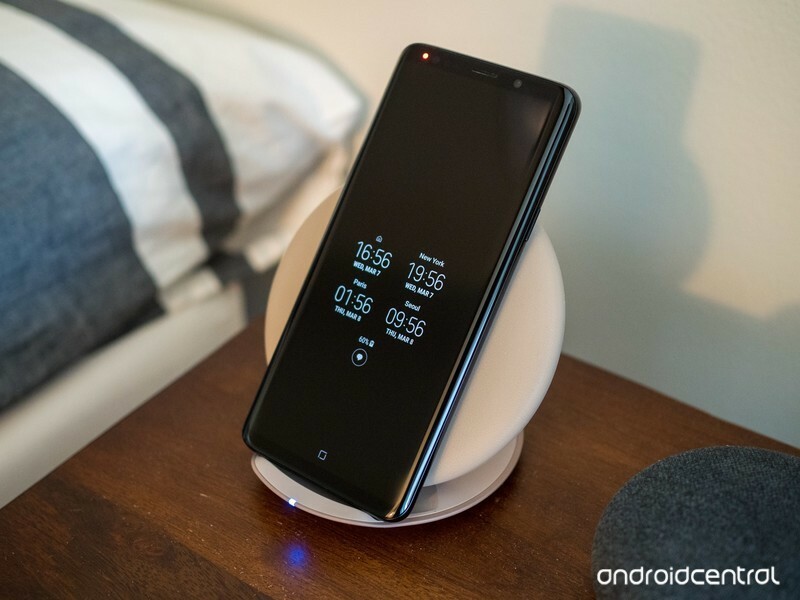 From a fully depleted battery, you can expect the Galaxy S9 to take just over 1.5 hours to reach a full charge through a cable, and about 2.5 hours using a wireless charger like Samsung’s own convertible fast charger. Despite its less-than-stellar endurance, the Galaxy S9 reminds us why Samsung remains a staple in the Android lineup every year. 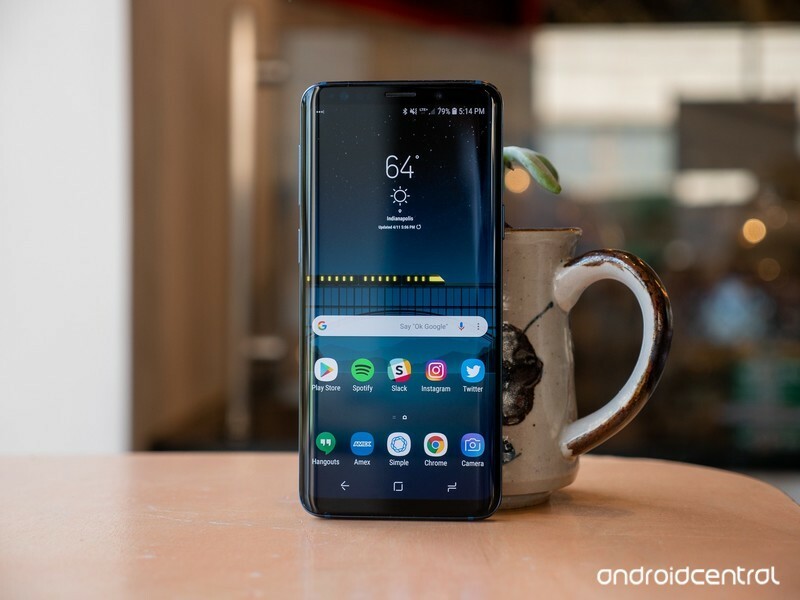 It refines all of the Galaxy S8’s accomplishments and improves on its flaws, fitting almost every headline feature imaginable into a phone that’s readily available across all carriers without costing an arm and a leg compared to similar alternatives. With the Galaxy S9, you don’t have to choose between a great camera and a headphone jack, or between small bezels and stereo speakers. It’s a jack of all trades that just does everything right, so long as you don’t need two-day battery life. If you prefer a larger phone, the Galaxy S9+ is still the better option for you; you’ll enjoy (slightly) better battery life, a bigger screen, a dedicated zoom lens on the back, and an otherwise identical experience. For everyone else, it’s hard to think of many reasons not to recommend the Galaxy S9. It may not be the most exciting phone around anymore, but it offers something for everybody, and leaves little to be desired.